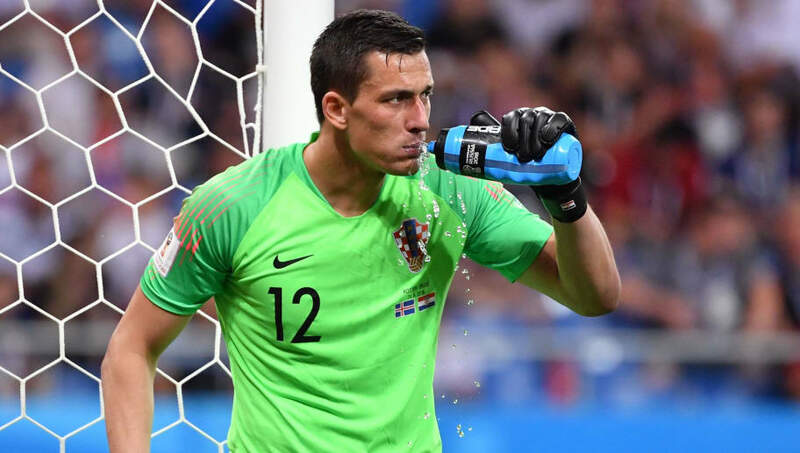 ​Aston Villa have announced the signing of Croatian international goalkeeper Lovre Kalinic from Belgian club Gent, a deal that will officially be completed when the January transfer window opens in less than two week's time. Villa, who have been dashed in their previous attempt to sign Kalinic, are believed to have agreed a £7m deal for the player and he will sign a long-term contract until 2023. The 28-year-old is likely to compete with current number one Orjan Nyland for the gloves in the second half of the season - Nyland himself only arrived from Ingolstadt in August. "We are delighted to be signing someone of Lovre’s experience and quality," Villa boss Dean Smith told the club's official website. "He is an outstanding goalkeeper and we are looking forward to welcoming him when he joins at the beginning of January." Kalinic was part of the Croatian squad that reached the final of the 2018 World Cup in summer, playing a key role and making numerous top saves in the group stage game against Iceland. And with former number one Danijel Subasic since retiring from international duty, Kalinic has now stepped into the role for his country. Despite missing out on the jackpot of Premier League promotion and starting the 2018/19 season against a backdrop of financial worries, Villa have put themselves into playoff contention and are just three points off the Championship top six heading into the busy festive period. Smith took over from the sacked Steve Bruce in early October and won five of his first eight league games in charge. Villa have drawn their last two games against West Brom and Stoke, with a critical game against league leaders Leeds to come on Sunday.